In another rhyming read-aloud tale full of delightful macabre humor Zombelina once again steals the show! This time Zombelina and her friend Lizzie are dancing in The Nutcracker. On the night of the big show, Zombelina is ready, but Grandpa Phantom has other plans for the opera house. Zombelina will need to think fast to save the show, and she’ll need Lizzie’s help. When best friends work together, the show will go on! 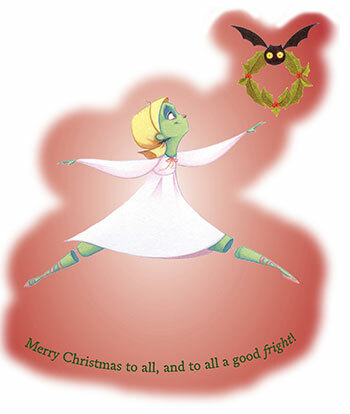 Young dancers and readers will love this family-filled, friendship-inspired picture book that brings Zombelina home for the holidays in another scary-good story!